800mm dia x 600mm deep on straight side. 120mm deep fully welded top and bottom dishes. 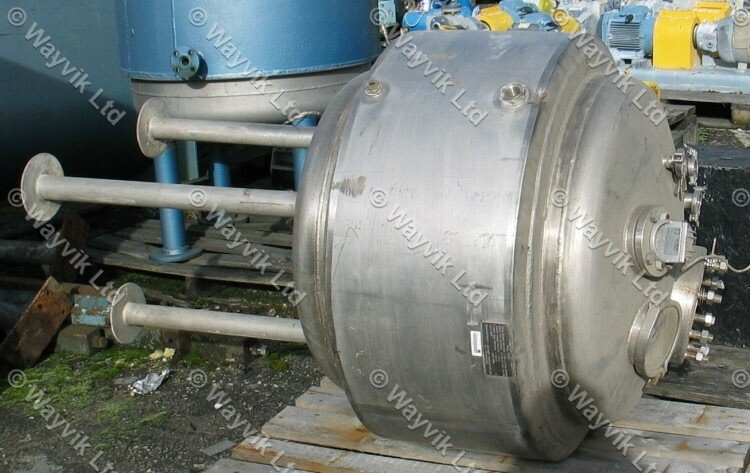 Vessel operating pressure 3 barg / Full Vacuum. Jacket operating pressure 4 barg.